I've never been one for expensive perfumes before I didn't really seeing the point of wasting money on such a small bottle purely for the name. However as of late I appear to be acquiring an expensive taste on things from make up to perfume. I'd find that the cheaper perfumes I would be buying just wouldn't last the day meaning I'd have to use them over and over meaning they would run out far quicker than a perfume with staying power. This perfume has a very hefty price tag costing £50 for 30ml but the fragrance is so sweet and one spray lasts all day. I am a sucker for sweet perfumes especially anything that includes notes of caramel. The bottle is also super cute and unique coming in the shape of a pink bow. Definitely one I would use more on special occasions purely because of the price. I first smelt this at Heathrow airport while passing through customs. 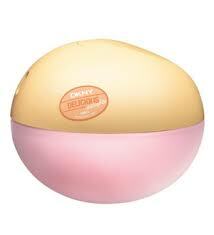 It is a very sweet and refreshing scent perfect for the summer. This currently retails for £37 but I got it for £30 in the sale. I loved all of the scents in this collection but this was definitely the one that stood out the most and they all did remind me of ice cream flavours as they were so sweet. Victoria's Secret may be known more for its underwear but what I love most about it is there perfume collection! All of their fragrances smell sweet and girly which is just what I look for in a perfume. While browsing this was the one that stood out to me probably because of the notes of Paradise Apple. Their perfumes are rather expensive but the sell each fragrance in the form of a body mist which is marginally cheaper than the perfume. These smell just as nice and have a very good staying power. 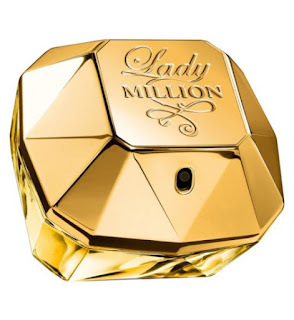 I got this in the form of a sample from Debenhams it's not a perfume I would usually opt for but there is something about this that you can't ignore when you're wearing it. Maybe it's the Raspberry and orange mix? Either way I am going to save my pennies to purchase a full size version I have only used the sample once and I loved it instantly! Needless to say that at the moment I will not need to be buying anymore perfume for a while!